Unable to stay awake beyond 9pm (Katharine) and 8pm (Richard). Weather better today so we cycled into town and visited the narrow gauge railway museum along the far end of the waterfront, which is very well done and worth visiting. 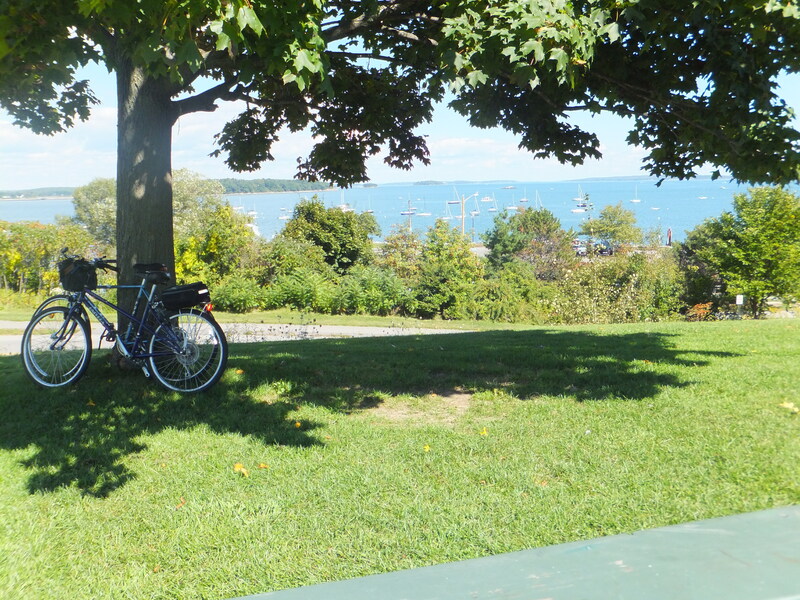 Then we cycled on to the Eastern Promenade and had a picnic lunch in the sunshine in the park overlooking the ocean. Then returned home via Baxter Boulevard skirting the shore of Back Cove which has fine views back over towards Portland. In the afternoon we cycled around the beautiful and restful Evergreen Cemetery nearby where all the 19th Century settlers are memorialized. Drove to Scarborough Marshes in the warm sunshine and walked out into the middle of the estuary along the old disused roadbed which crosses it. Saw a few birds and chatted to a few friendly cyclists. 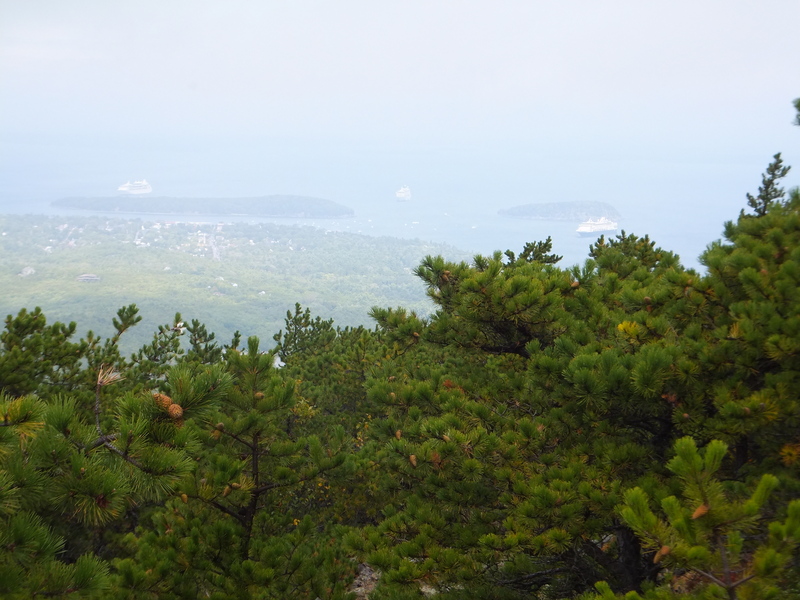 Then drove on around Old Orchard Beach Road to the city of Saco, where Pete works as the city’s planner. 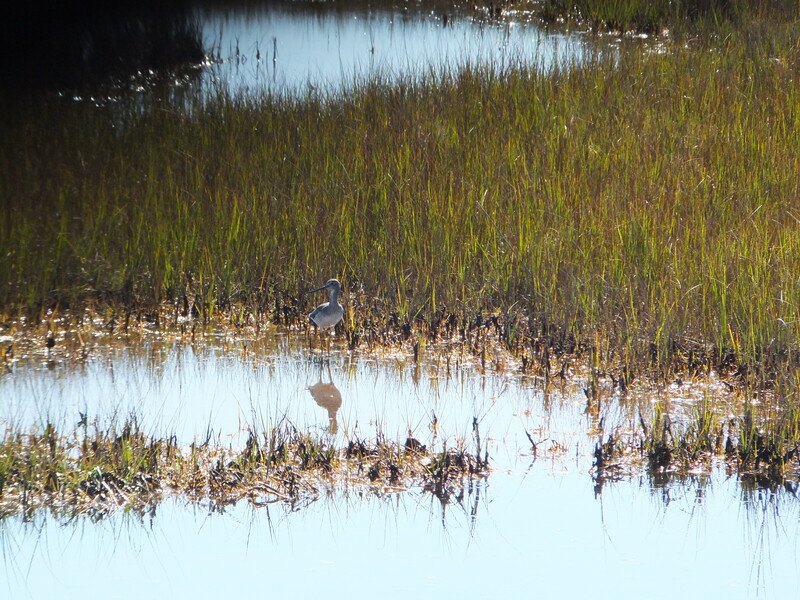 Saco is a very handsome and peaceful New England town. 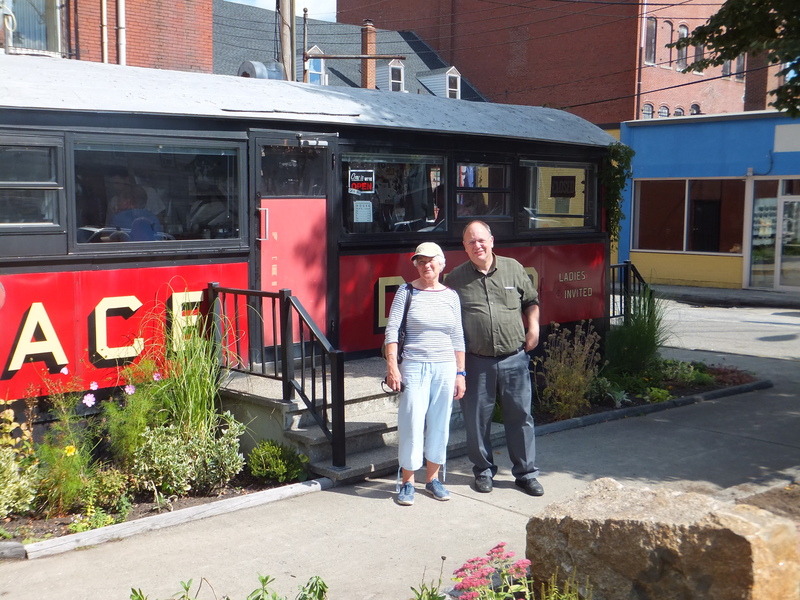 Met Pete and went to the Palace Diner in Biddeford and enjoyed an all American lunch of tuna melt and coffee at the bar. The young men who run this place are very entrepreneurial: congratulations to them for making it so traditional. On the way we went to look at the new railroad station which Pete had been instrumental in developing. It is an exceptionally good example of civic progress. After lunch Pete took us to the city museum of which he is a trustee. The exhibits in this excellent little museum tell a very interesting story about the city’s original settlement and development. In the evening we all went out to Cape Elizabeth to meet Pete’s Mom and her partner Roger. We went to the Lobster Shack on the cliffs next to the lighthouse for another lobster dinner (all very Edward Hopper, and the sort of thing we came for). Then had to dash back to buy catfood before the pet store closed, to feed Bertie, the handsome marmalade cat, over the weekend. On our return home we watched the first few results in the Scottish referendum on the BBC News channel: all four no, so hopeful. After a quick check of the Scottish referendum results, packed up and left fairly early for Bar Harbor Downeast (that would be ‘up the coast’ to us) along the Interstate 95 to Bangor and turn right. Arrived at the Barton Motel and had a picnic before heading into the town to look round the shops and then driving to the top of Mt Cadillac, which is a massive pink granite outcrop 1500 ft high overlooking the ocean and the hinterland. In the evening had a lobster dinner, yet again, in a nice restaurant near the motel. Got up at 4.30am (ugh!) 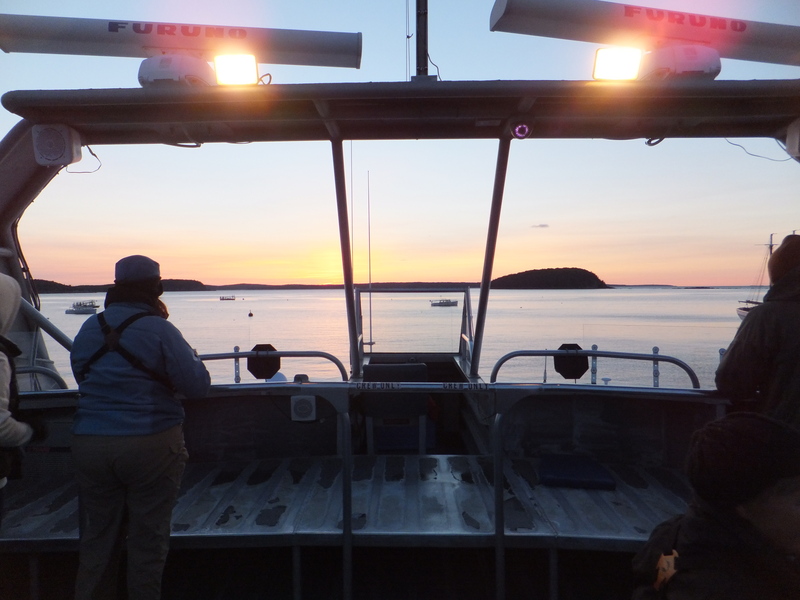 to register for the pelagic boat trip on the quayside in Bar Harbor at 5.30 and sail at 6 on a large and fast catamaran. About 100 people went, all very serious bird watchers. The weather was clear and partially sunny and not too cold. The sea was running from the south west as we headed out into the Bay of Maine and up towards the Canadian border. We caught up with all sorts of seabirds that you never normally see because they live in the ocean: shearwaters, puffins, storm petrels, skuas, jaegers. The return to harbor was dire as the sea had risen and we all nearly died of sea sickness as the boat crashed into the waves for about two and a half hours. A memorable day in several ways then! But not so bad that we hadn’t recovered to go out again for a seafood dinner in Bar Harbor. 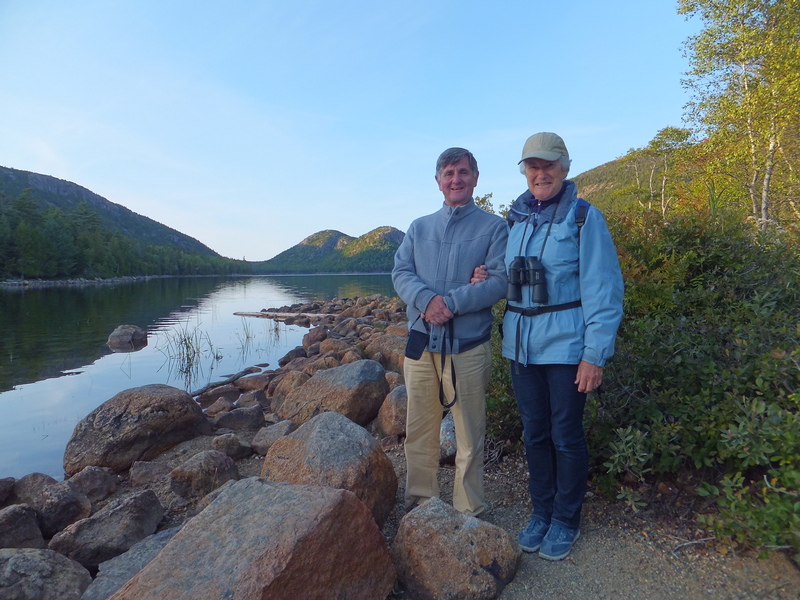 Gary, Suzanne, Frank and Caroline met us at the motel and we headed into Acadia National Park once the early morning rain had stopped. 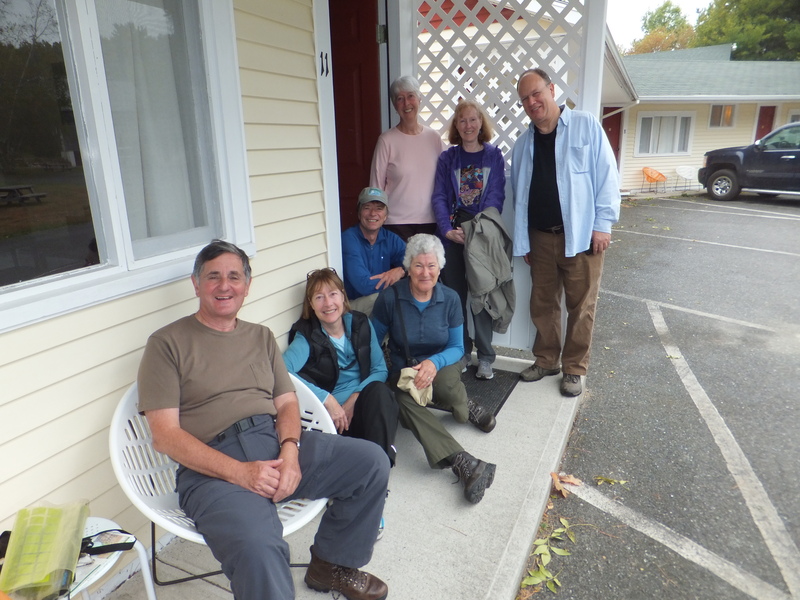 Gary and Suzanne took us walking up over Mt Champlain, while the others walked around the coastline . This is a smaller pink mountain next to Mt Cadillac. The rock had been scalped clean and smooth by glacial action. Then we rendezvoused with the others on the beach before we returned home by our separate routes. 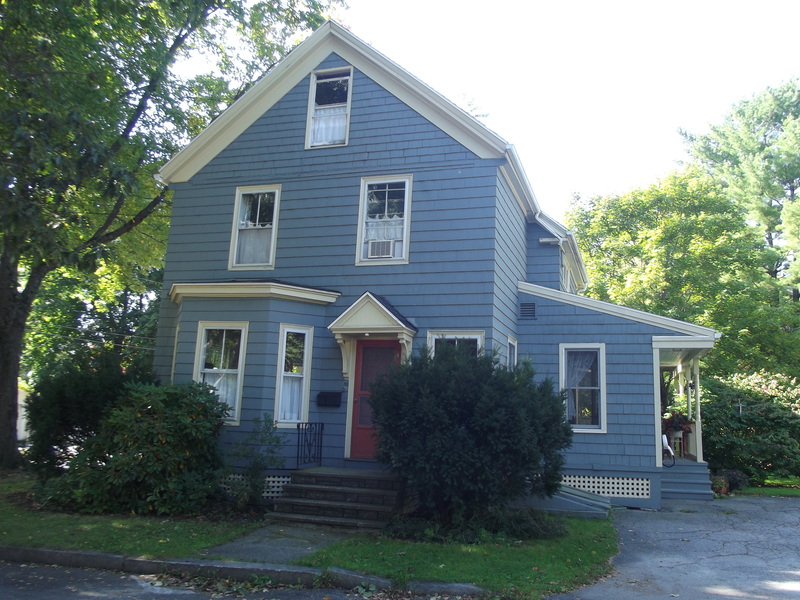 We took Route 1 along the coast and enjoyed looking at the pretty towns with their fine New England clapboard houses. 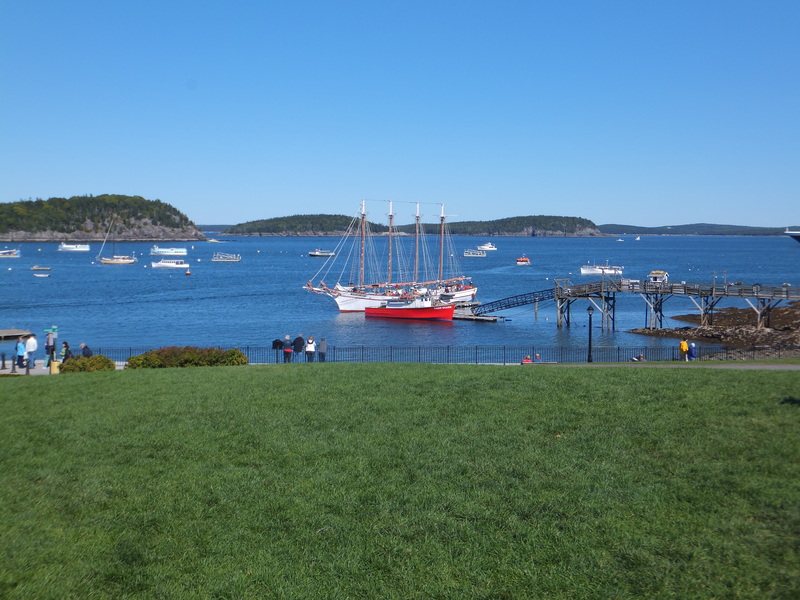 We stopped in beautiful Camden Harbor and ate in Cappy’s Chowder House. By this time thick sea fog had risen everywhere and Pete and Janet did a noble job of sharing the driving in the difficult conditions. Got home and flopped into bed.